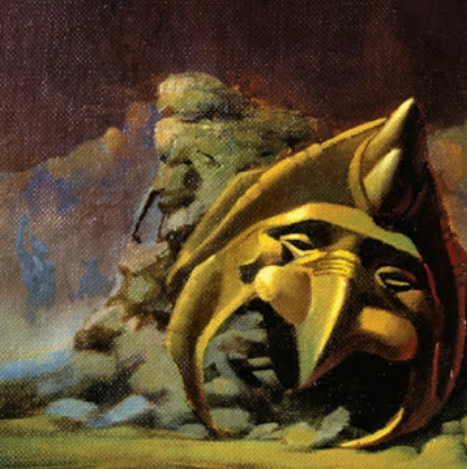 Freelance illustrator Rudy Obrero left an indelible mark on the Masters of the Universe landscape. 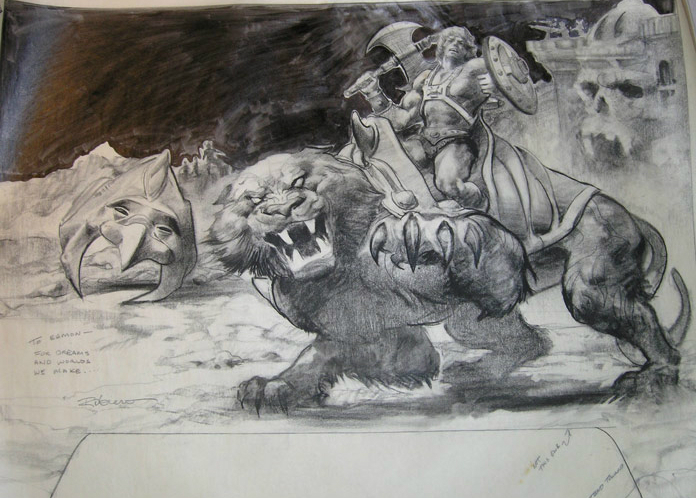 He was originally selected by Mattel designer Mark Taylor for his ability to produce artwork in the style of Frank Frazetta, a major early influence on the He-Man toyline. Rudy’s moody atmospheres have made him a fan favorite in a toyline that was blessed with many talented artists and designers. 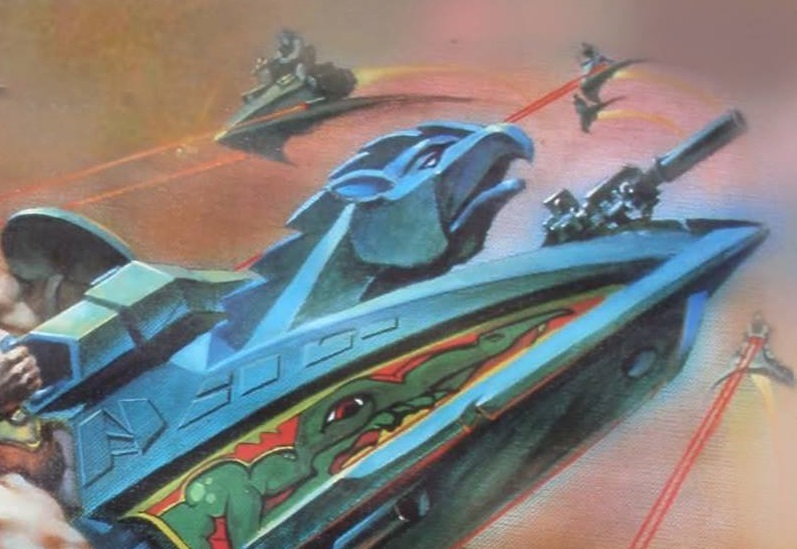 Today I’d like to take a look at something we often don’t notice in this artwork – the background characters and vehicles that never existed as actual toys. The original Battle Cat artwork (the first piece painted by Rudy for the He-Man toyline) is pretty sparse. 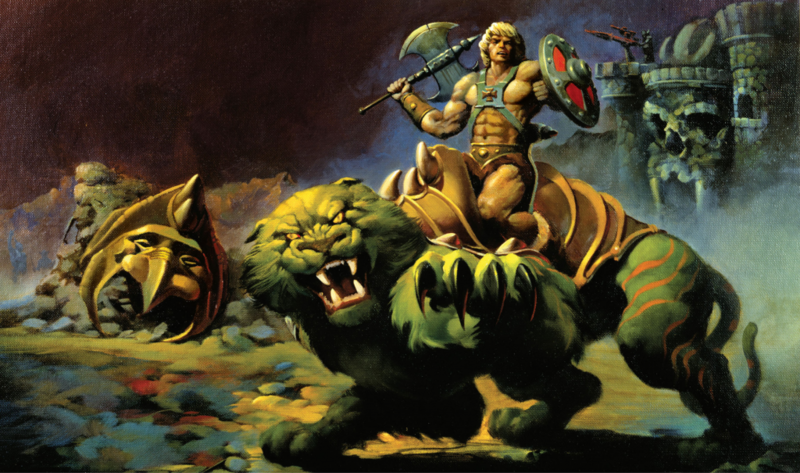 You have He-Man on Battle Cat, some rocks and Castle Grayskull in the background, and not much else. Notice that the laser canon on the castle is the prototype design rather than the final version. In the original charcoal drawing (a piece owned Eamon O’Donoghue, who graciously shared a picture of it), you can also see there were going to be a few more background characters in the illustration, but they were dropped in the final oil painting. Like many of Rudy’s background characters, they look like barbarian warriors straight from a Frank Frazetta painting. There are two warriors on the turret in this version. 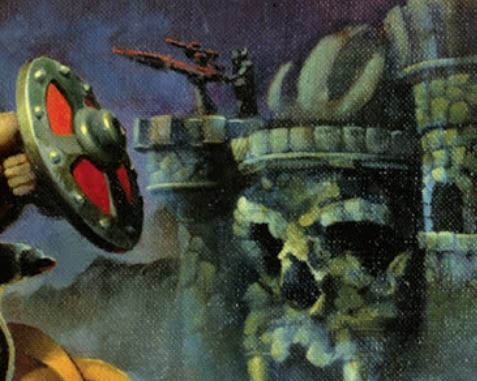 Rudy’s Castle Grayskull artwork has nearly a complete line-up of all the 1982 action figures, with the exception of Mer-Man. But there are also two shadowy figures in the background, behind Beast Man. Rudy also includes a small fleet of flying Sky Sled-like vehicles. They are v-shaped and each appears to have a single pilot. 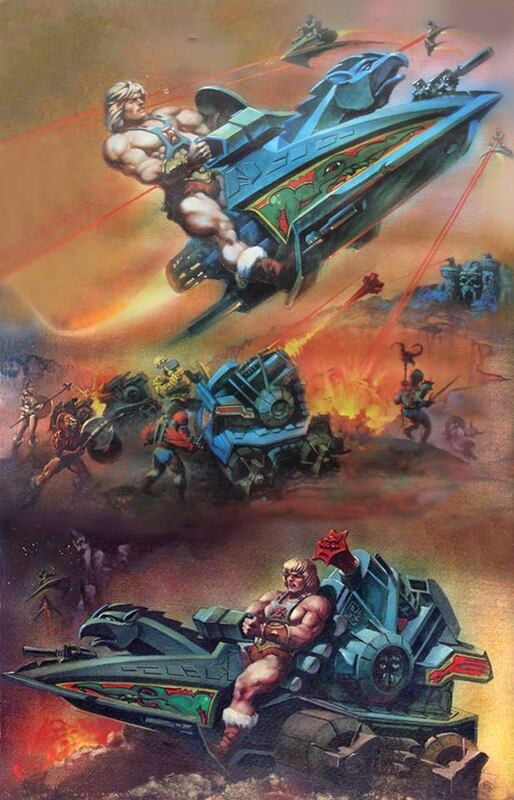 Rudy’s Battle Ram illustration features a barbarian warrior with a Viking helmet, and the suggestion of at least a couple of figures on the turrets of Castle Grayskull. 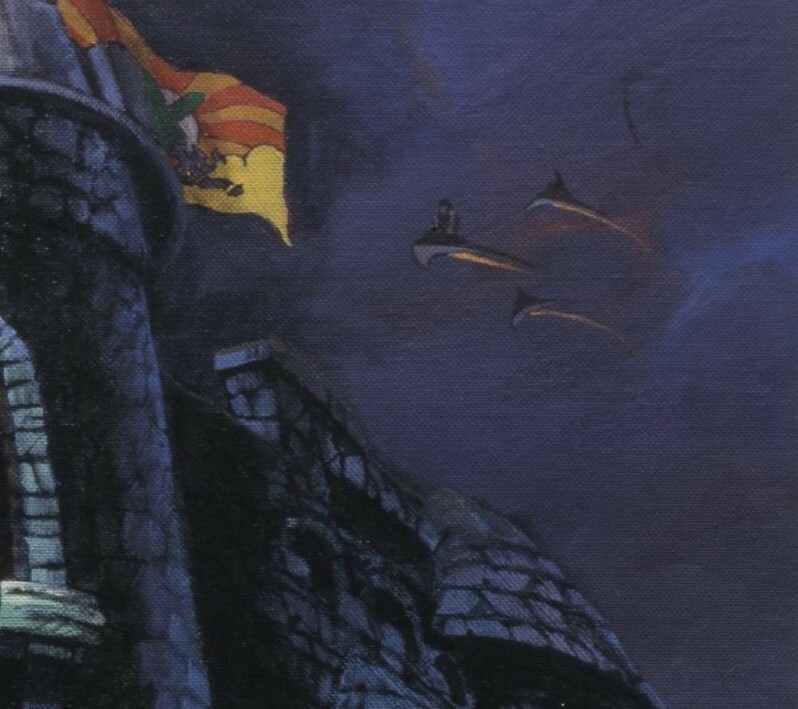 It also features six of the V-shaped Sky Sled-like vehicles that appeared in the Castle Grayskull painting, each with its own pilot. Some of them are shown in side profile here. The basic design seems to be the front half of the Battle Ram without the griffin figure head, and extended, swept-back wings. 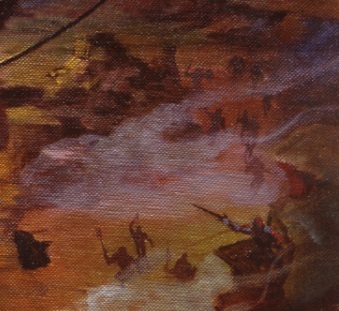 Rudy Obrero’s Wind Raider illustration features about a dozen warriors at ground level, most in silhouette. One of them, however, is a blue-skinned warrior with red armor and helmet. Update: this may in fact be Stratos. Thanks to Øyvind M. for pointing this out! 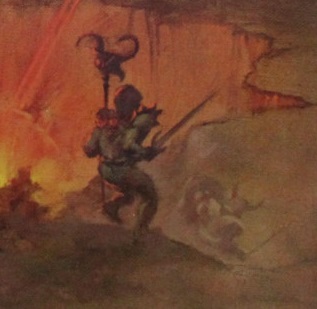 The artwork also features three Wind Raiders, each with an unknown pilot, mounting an attack on He-Man, who mounted his own attack against Castle Grayskull. 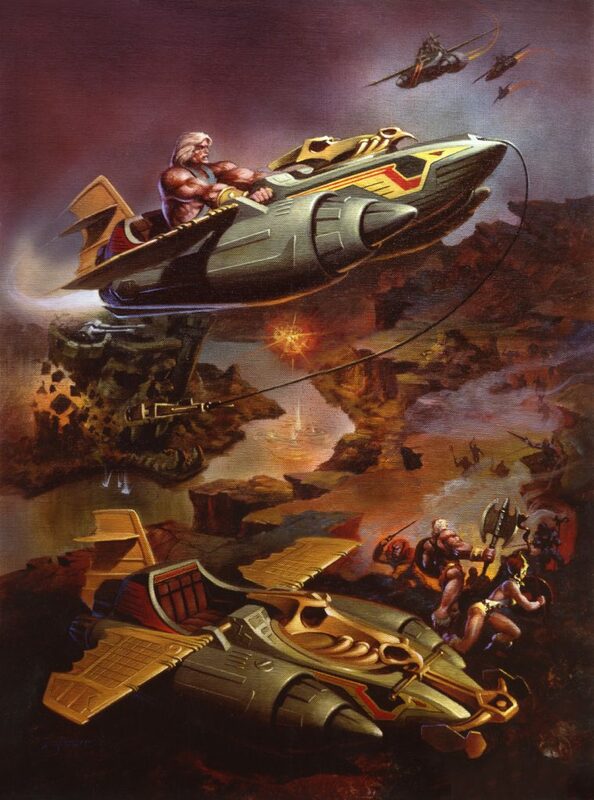 The illustration for the He-Man/Wind Raider gift set shows the clearest example of an invented character. 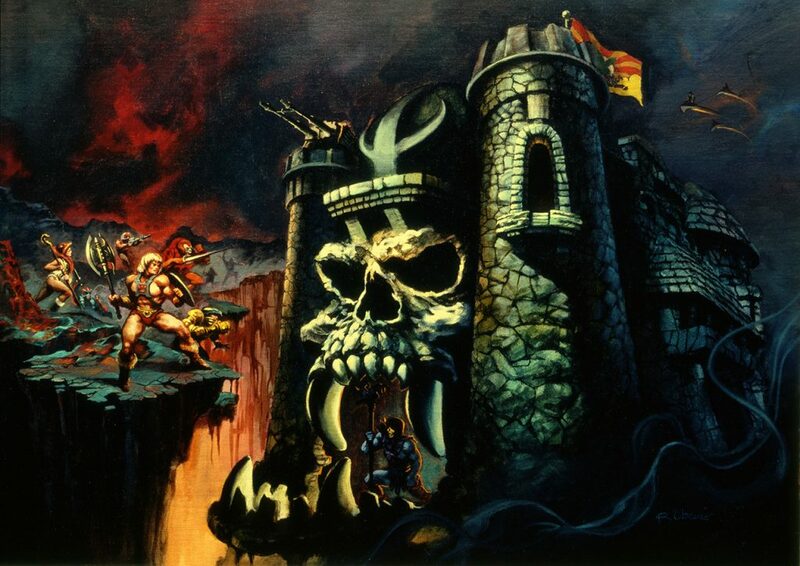 I used to think this was an off-model version of Zodac, but Rudy has said he hadn’t seen Zodac when he did the painting (indicating this was done before Castle Grayskull). Dubbed the “Warrior in Red” by fans, he is just that. His costume looks a bit like He-Man’s, but recolored. He seems to have some kind of red and gray helmet on, but it’s hard to make out any details. 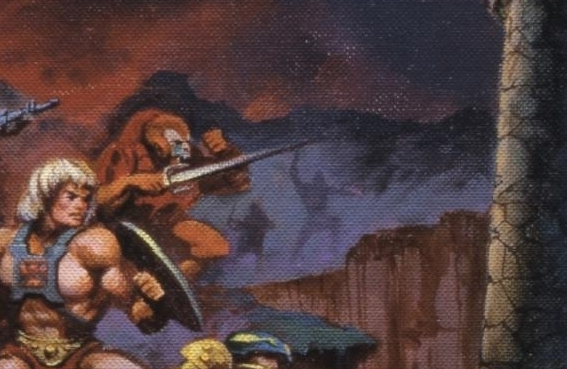 Behind Skeletor, Beast Man, and the Warrior in Red is a small army of shadowy figures. Presumably they’re aligned with Skeletor. Special thanks to Shawn, who gave me the idea for this post. more so earlier in a range then later, you need background characters to fill out an image so generic designs are perfect. It is too common for fans to look into things and say “Look, this is a possible unproduced character” or “this is sign that they thought about this idea” when often, it was just something to flesh it out.. of course, sometimes there IS something in it, but I’ve seen too many people find clues where there weren’t any. I think most people have if not all at some point. I’ve done some research into stuff relating to the 1800s and early 1900s.. I try to get stuff confirmed by at least 2 different sources but even then, or when I only HAVE one possible source, I’ve looked at the evidence then jumped to a conclusion that fits my personal view more then the truth… it’s easier to make such mistakes about the past like that cause no-one can really prove you right or wrong.. but I’ve seen people look at concept art or trailers for new TV shows and games, make them leaps and then turn out completely wrong… at least in such a case you CAN be proven right or wrong. Hey, battleram, this is truly some great detective work (you should reconsider renaming your avatar to “Mr. Holmes” or something like that ;-). I truly enjoyed getting to know more about the easter-egg kind of guys in this post. It made me want to know more about the box arts. These are the MoTU equivalent of cryptics. I always liked little characters like this, if I was a bootlegger these are the fellas I’d make. 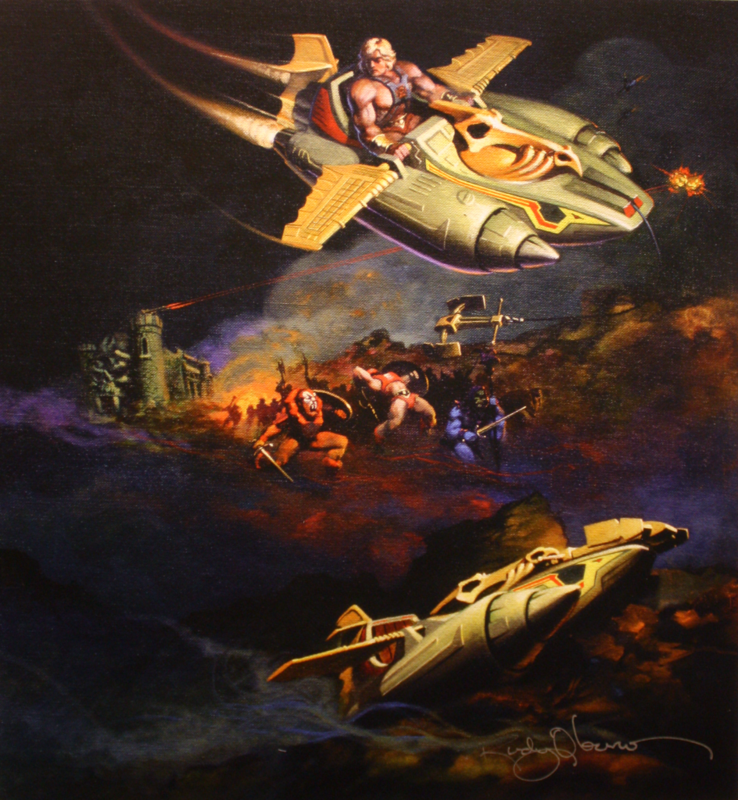 I remember being fascinated by the flying vehicles on the Grayskull box art when I was a kid. 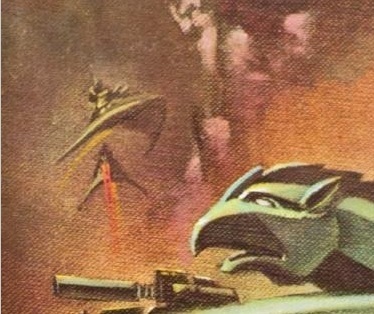 I would always stare at that box art whenever I was in the toy aisle, and those mysterious vehicles with their unknown riders were so tantalizing! I wanted so badly to know who they were! As a little kid, it didn’t occur to me at the time that they were simply generic characters to help fill out the scene and add more action. As for the warrior in red, I choose to believe he’s a slightly off-model rendition of Goat Man, even though I know there’s not a chance in hell he was intended to be!